DDR-3 SDRAM or Double Data Rate type Three Synchronous Dynamic Random Access Memory is a successor to DDR & DDR2. As compared to DDR2 SDRAM, it has ability to transfer data at double rate; i.e., eight times the speed of its internal memory arrays; thus enabling higher bandwidth (peak data rates). It has two transfers per cycle of a quadrupled clock signal; that enables it to achieve a transfer rate of up to 64 times the memory clock speed. DDR3 SDRAM modules use DDR architecture to achieve high-speed operation. DDR3 architecture is basically an 8n-prefetch architecture which transfers two data words per clock cycle at the input-output pins. Initially it was launched with 1.5v DDR3 DRAM; later DDR3 DRAM works at 1.35v. 1.35v is usually compatible with all 1.5v platforms. 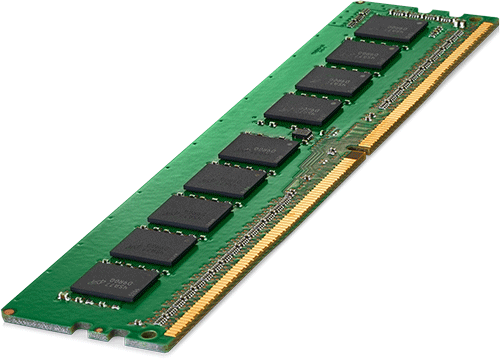 Long-DIMM (or Desktop RAM) comprises of 240 connector pins, whereas SO-DIMM (Laptop RAM) comprises of 204 connector pins. Long DIMM of both DDR2 and DDR3 has 240 pins, but they can easily be identified as their notch location of DDR3 is nearer to pin 1 as opposed to DDR2 Long-DIMM. It typically has data transfer rates of PC3-6400 (800MT/s), PC3-8500 (1066MT/s), PC3-10600 (1333MT/s), PC3-12800 (1600MT/s), or PC3-14900 (1866MT/s).